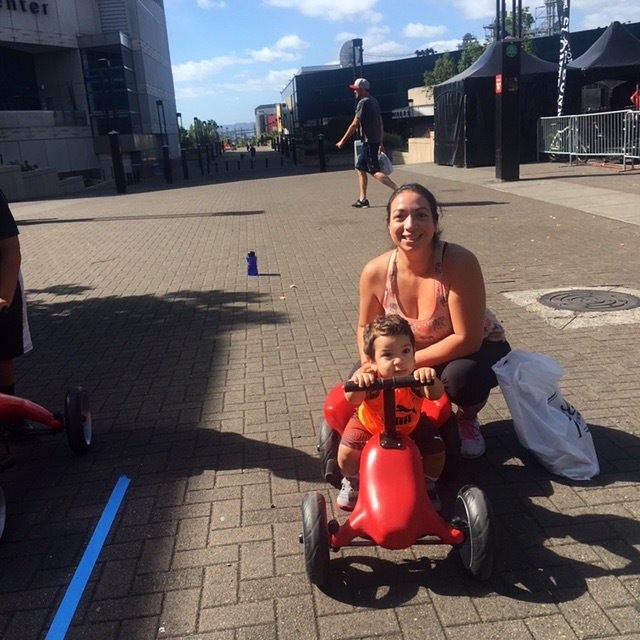 The short, fun, and popular Pumper Car races set the scene at the Moda Center in Portland OR. RipCity 3-on-3 is a fast paced basketball tournament anyone can sign up for! Pumper Car was there to let kids of all ages ride around between basketball games. Many families who stopped by our site had never heard about the Pumper Car before, and were thrilled to learn how the Pumper Car can help kids of all abilities! Watching kids race around our obstacle course made for a fun-filled weekend! The prodigious fundraiser for Special Olympics Oregon was a huge success. We are thankful to have been part of such a great event! Be sure to check out more from RipCity 3-on-3 on our YouTube, Instagram, Facebook, and Twitter pages!